The Honda Accord boasts a history of excellence and reliability that few lines can match. Year after year, the Accord has stood at the forefront of comfort, efficiency, and functionality in the sedan world. All this, combined with its low price and high resale value, makes the Accord one of the best-used investments you can make. 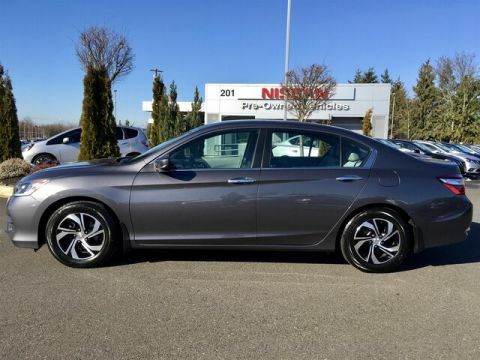 And if you’re looking for a great deal on a used Honda Accord, look no further than Puyallup Nissan. Why Buy a Used Honda Accord from Puyallup Nissan? With 41 years of experience in serving the good people of Puyallup, Puyallup Nissan offers a superlative shopping experience you just won’t find anywhere else, and we put that same care and dedication into every used car on the lot, regardless of make or model. You can find a number of quality used vehicles in our wide-ranging inventory, from sharp Nissan models to the ever-popular Honda Accord. We even offer a lot of used cars all priced under $15,000! And when you’re ready to buy, applying for financing is a snap—just fill out this quick and easy online financial application form. So visit Puyallup Nissan today, and get on the road to a better tomorrow!